Members of the BizTech Challenge winning team (from left to right): Rashad Pierre, senior, business management major; Nathan Morrison, senior, mechanical engineering and supply chain management; Ashley Lewis, sophomore, electrical engineering; and Polite Stewart, Jr., senior, mechanical engineering and physics. But there’s more at stake than a New Age tea brewer. The come-up story of having “a dollar and a dream,” which is rooted in the American Dream, is less likely to be told by anyone who isn’t white. This is especially true in the tech industry where African-American founders like Morrison have limited access to venture capital investments. Like most entrepreneurs, Morrison needed a team, capital and publicity to bring his great idea to market. But our segregated neighborhoods and schools extend to how we finance, nurture and bring products to the marketplace. “With less than 3% of VC funds employing black and Latinx investment professionals, only a small fraction of that sum will find its way to businesses owned or run by people of color,” according to the magazine Fast Company analysis of data compiled by the venture capital database Pitchbook. Another analysis by digital divide expert Kathryn Finney found that black women-led start-ups comprised less than .2 percent of all the venture deals in a five-year period starting in 2012. Society needs to give people of color more opportunities to build wealth, get capital and grow their businesses. 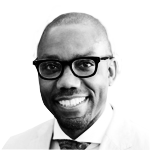 HBCUs are flush with talent and ideas, but colleges and their students lack investment. Investment symbolizes who and what we value. Changing negative perceptions of people of color will require an investment in them, their communities and institutions. The come-up story of having “a dollar and a dream,” which is rooted in the American Dream, is less likely to be told by anyone who isn’t white. Morrison recruited three of his classmates from Southern University and A&M College’s engineering program in Baton Rouge to start OurGlass. Not that long after, Morrison learned that the pitch competition BizTech Challenge would take place in New Orleans a day before the annual Bayou Classic football game between Grambling University and Southern University on Thanksgiving weekend. Morrison and his team had the platform they needed. The only thing missing was funding. The BizTech Challenge is a pitch competition along the lines of the popular television show Shark Tank, minus the snarky celebrity judges and hundreds of thousands of dollars of capital. 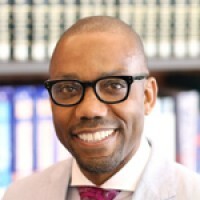 Teams from six historically black colleges and universities vie for the winning prize of $10,000 and free legal advice to help grow their business. 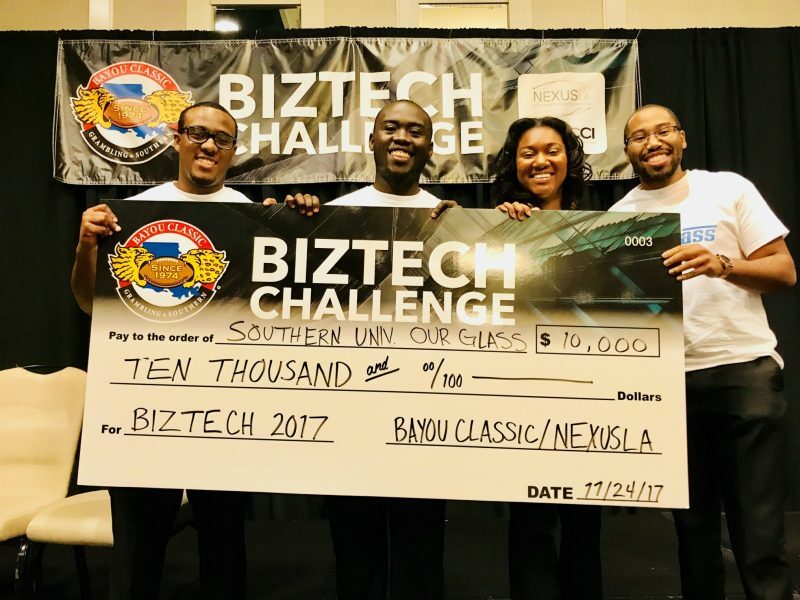 BizTech’s founder, Nexus-LA, a Louisiana-based company that connects budding businesses with people or entities with venture capital funds, has made the competition as educational and supportive as a contest can be. For a month leading up to the event, Nexus-LA works alongside faculty mentors and coaches at HBCUs to prepare students on how to pitch their businesses, a real-world skill that may not always be part of the college curriculum. A member of last year’s inaugural winning team was introduced as a new employee of the tech firm Cisco. If future winners continue to come back with their firms, with venture capitalists or as representatives of a successful business launched at the competition, the event will be a success. Rodney Sampson, a technology entrepreneur and investor who served as a judge at BizTech, said, “We need a safe space to build our dreams.” Sampson, who often writes about how to increase black and brown participation in the tech field, wants to see more mainstream engagement from the tech world with students and faculty members at HBCUs. The Southern University team of OurGlass impressed Sampson and his fellow judges so much that they received the first place prize. An excited Morrison could not repress his wide smile. “Normally this type of stuff happens in Silicon Valley,” he said. “We’re in Baton Rouge, Louisiana. We don’t have a PayPal mafia in Baton Rouge,” referring to former PayPal employees who used their wealth to create new companies. The OurGlass team indicated they will use their winnings to improve product prototype, but they know $10,000 isn’t enough. His teammate and partner, Polite Stewart, Jr., said, “Let’s be real. There’s a gap between the educational market and the professional market. There’s what you learn in school and the application of it in the job market.” Stewart just wants companies to communicate their expectations for investing in new ideas to black students. The students, he says, will do the rest. But the greatest innovation yet to be discovered is learning how to support everyone’s dreams — even those born of a video game and tea habit.